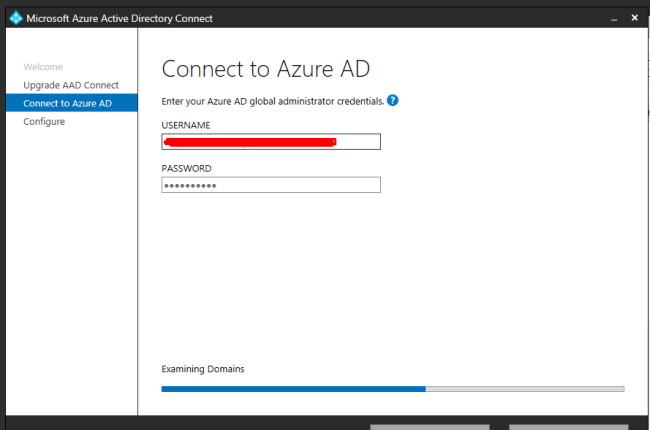 AADConnect Server plays an important role in the Office 365 Hybrid setup. 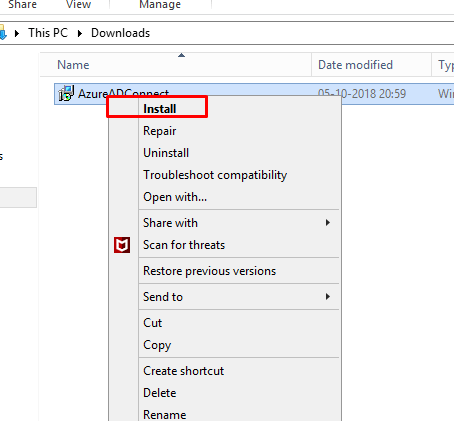 Hence, this AADConnect upgrade should be carefully implemented if it is used for Password Sync. In-Place upgrade means upgrading the server which is already installed and running it currently in the production. It needs more attention to upgrade than the current server. If anything goes wrong or misbehaves while upgrading, it may cause serious issues, hence check all the steps, as I am going to explain, before proceeding with the upgrade. The auto-upgrade option is not recommended for the larger object's syncing as it can cause downtime or mislead the settings if anything goes wrong. It is recommended to express the installed version and not enable it with more conditions or filters. The swing upgrade is highly supported where AADConnet is installed with the two servers with high availability. In this article, we will see how to do an in-place upgrade. 1. 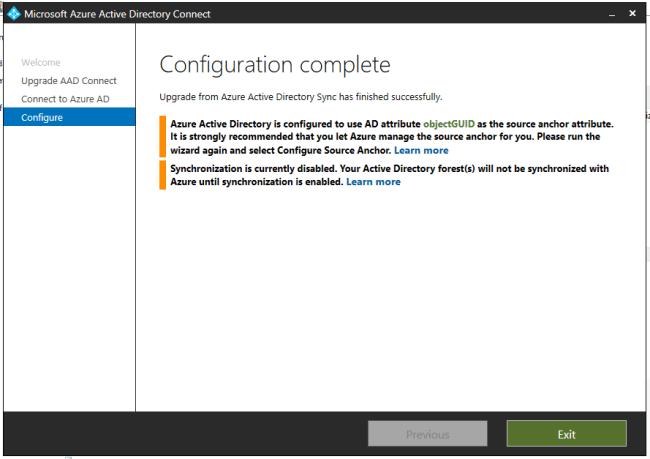 Ensure the current cycle is completed as it requires full sync once AAD connect is completed. 2. Export the settings if there are any customized filters applied. 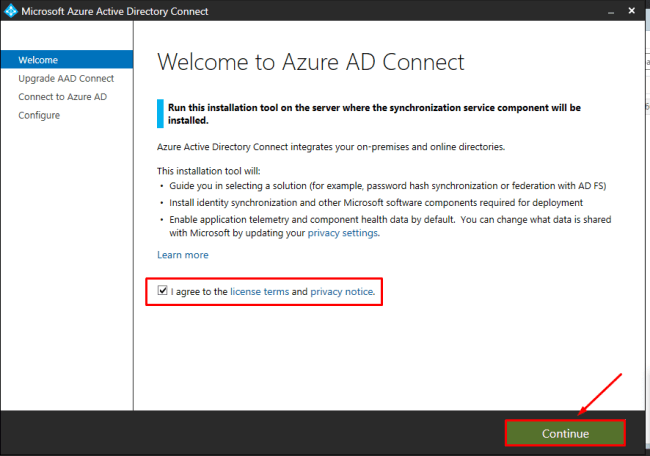 Follow the Microsoft Article to see the latest versions release of the Azure ADConnect. At the time of writing this article, 1.1.882.0 is the latest version. Select start full sync if you want to begin the sync once the installation is completed. 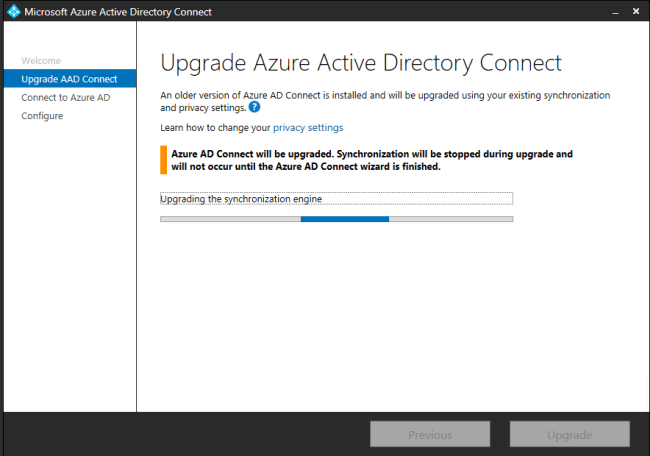 I have disabled immediate sync once upgraded. 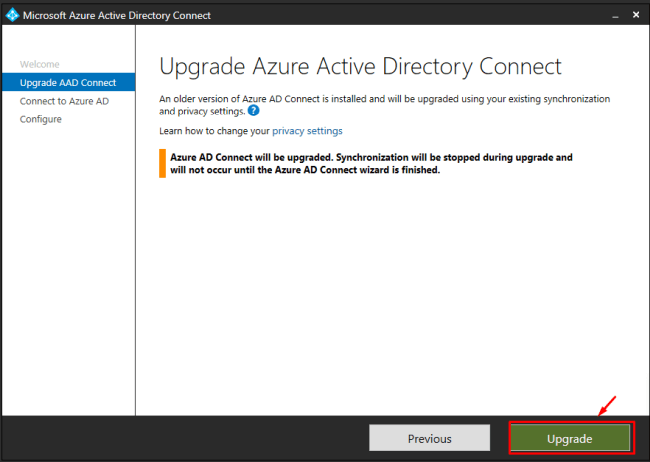 Click on Exit once the upgrade is completed. You can see the latest version in the appwiz.cpl. 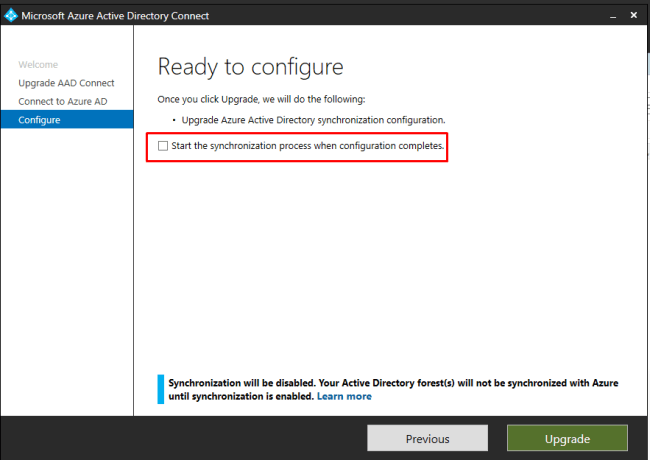 Validate the installed version and initiate the full sync by using the command that is required to sync and validate the behaviors.